Many people don't really know how to use full stops as abbreviations any more. The onset of acronyms, mnemonics and wide-spread abbreviations has met with a reduction in the use of the full stop as a mark for abbreviation. We used to use them for shortening of doctor, mister, missus, etc (and indeed after etc), but now we have dr, mr, mrs etc. What I don�t like is the misuse of the full stop as a separator. The internet may be partly to blame here as email addresses and website addresses use the full stop as a separator. Indeed the full stop in this case is called dot. This comes from the days when IBM called their system libraries (files) names like SYS1.PROCLIB and SYS1.LINKLIB (spoken as 'Sys one dot proc lib' and 'Sys one dot link lib'). This spawned the naming of files on PCs and subsequently website addresses, and is why we say, for example, 'Write It Clearly dot com'. It's a good job we moved away from IBM's limit of eight characters between each dot! Here's an example of a Premier League footballer whose club does not know how to use the dot. This is Ki Sung-Yeung, and his name should read Ki S.Y. 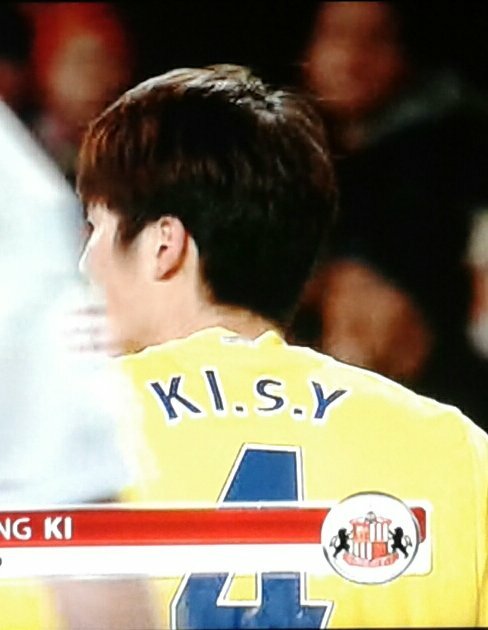 But here his name reads Ki.S.Y with the dots being used as separators. Ref: 62 Vans usually go past too fast for me to read them!